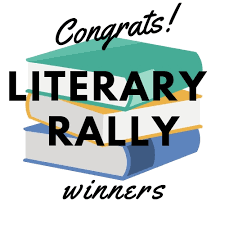 Results of the 2019 Northwest Louisiana District Literary Rally hosted by Northwestern State University have been released. Students from high schools in central and northwest Louisiana participated in the Rally, which is held each year to qualify academically talented students for the state competition at Louisiana State University in Baton Rouge April 6. Parish students who are state qualifiers in music are as follows. Division I medal winners in each subject are as follows. On front row from left are Lakeview biology teacher Erin Davis, Amber Hembree, Anna Smith, Zoie Britt, Sara Garner, Gracie Niette and Elizabeth Poydras. On back row are Jodie Kerry, Julie Baldwin, Stephani Bradley, Myla Porter, Cami Faircloth, Zack Favela and Emily Windham. Not pictured are Nicholas Wiggins, Karmen Jarriett, Destiny Britt and Anna Lane. State qualifiers are Gracie Niette, Elizabeth Poydras and Karmen Jarriett. Division III medal winners in each subject are as follows. On front row from left are SMS students Carissa Kautz, Maggie Wheat, Anna Kate Jackson and Jensen Parker. On back row are Abigail Guillet, Claire Guillet, Zach Harrell, Sarah Stamey, Tony Arnold and Graeme Fidelak. Division V medal winners in each subject are as follows. Students qualifying to attend State Rally to represent Division I schools are as follows. State Qualifiers in Division III are as follows. State qualifiers in Division V are as follows.